This could be the future of mid Market. San Francisco voters overwhelmingly said billboards were the wrong way to clean up San Francisco's mid Market district. Now a developer is hoping residents and City planners feel differently about shopping. 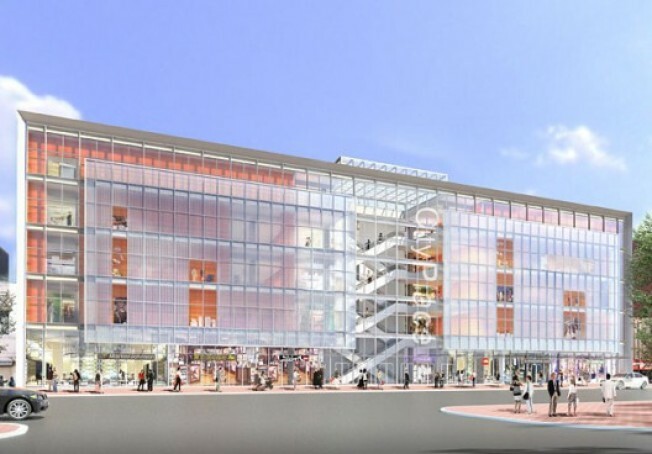 Urban Realty is planning to bring a five-story mall called CityPlace to mid Market. The landlord for Ross, just up the street, put up a draft environmental impact report Wednesday, describing in full detail the project, which will be located at 947 Market St.
CityPlace will require the demolition of three currently vacant buildings, and will actually have seven levels of retail, including a mezzanine and a basement level, plus two underground parking levels. Design firm Gensler is shooting for the building to receive LEED Gold. There has also been talk of Target becoming one of the flagship retailers for the mall but with talk of the bulls eye zeroing in on the Metreon that could be off the shelf. Curbed SF contributed to this report.